Hello there everyone! So as you can tell by the title, there is art in today's post! 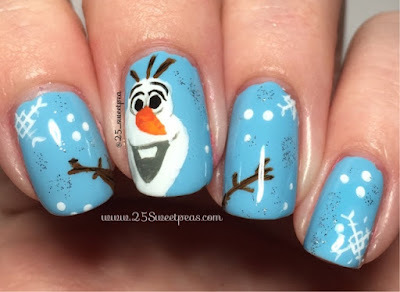 And I mean since it is Olaf why not just start with the art right?! ;) So let's get right into it! I've always wanted to do Olaf but well I've never had the guts! Well actually I think about a year I attempted but failed so that really started this one out with a lot of doubt! This blue, which a swatch photo is coming;) , just seemed like the perfect Frozen Blue! 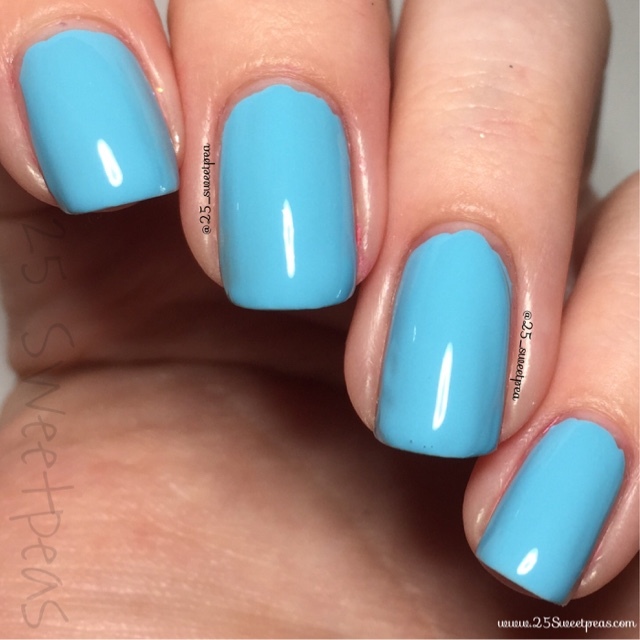 The blue is named Bliss and is by Pretty Woman Polish. It's a Gelogic one but I have to say I really like it! It's a bit on the thicker side, but a one coater so thy isn't bad long as you can work with a thicker polish. On my ring finger it did bubble a bit. However once I put on Top Coat it was perfectly fine! 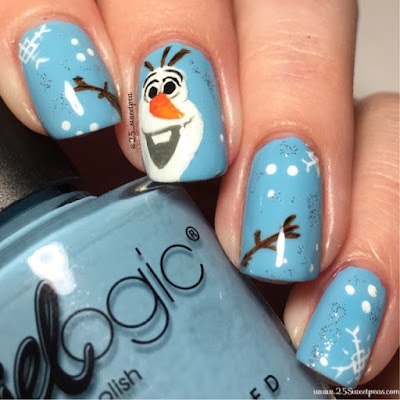 So what do you guys think of Olaf?! Even though he was super stressful to paint he was so much fun to paint. Especially since I feel like he came out pretty well. He's far from perfect but I am pretty proud of him! Well that is all for this post!! I am trying to get in so so much before Christmas I just don't know how I am going to do it all!! 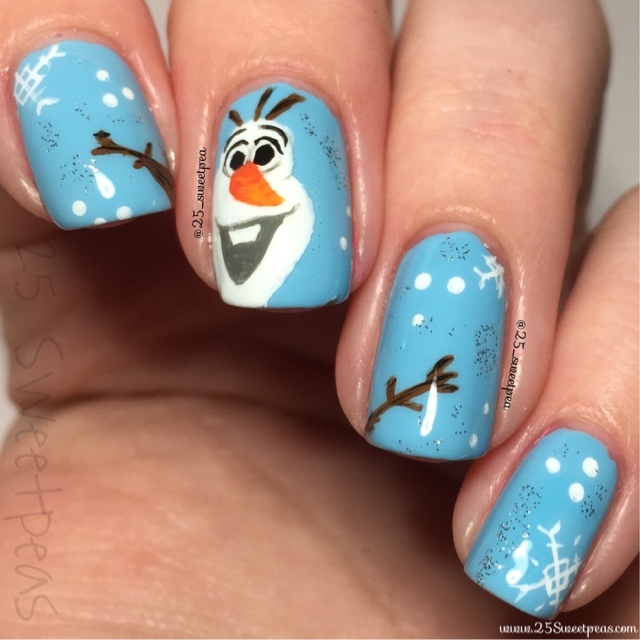 On to work on more nails! Make sure and let me know what you all think of these! I can't wait to hear! !